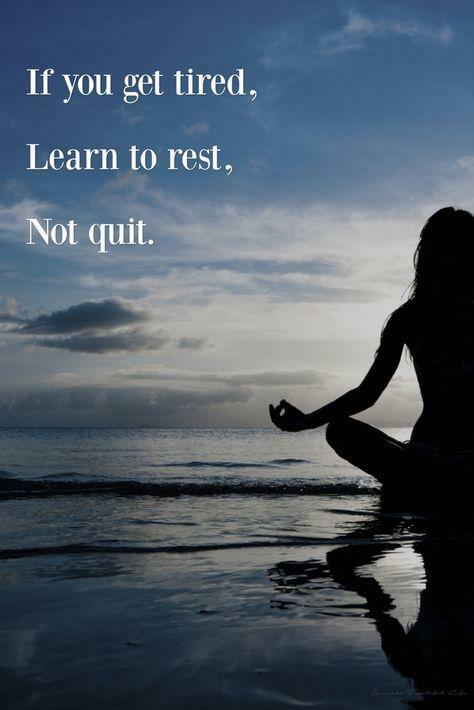 Rest is essential if you want to move on and attain objectives. The resting place of the mind is the heart. You can never find rest until you learn to finally let go of the hatred and hurt that lives in you heart. God has promised that He will provide rest to those who have faith in Him so hold on to our faith and to His words, for God's words are true. You will get tired as everyone else does. You can have all the choices to stop, but remember taking a good rest is a lot different from giving up. SINGLE doesn't have to mean lonely. single simply means. I'm resting my heart until it's ready to love again.